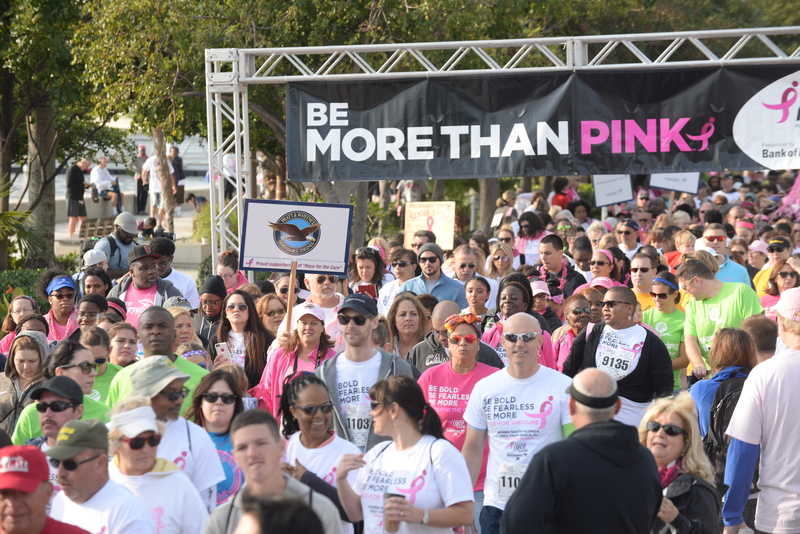 Palm Beach, FL, January 28, 2017 (PalmBeachPost.com) –Well before the survivor anthems sent hot-pink ripples through the “Race for the Cure” masses on the downtown West Palm Beach waterfront, breast cancer survivor Amy Carello had a plan. It was the same plan she’s had every year since her double mastectomy, seven years ago. 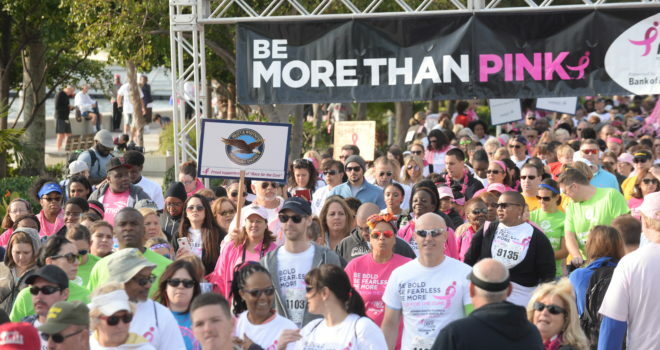 The Deerfield Beach mother of two daughters would join the Susan G. Komen 5K walk along Flagler Drive, then head to the Meyer Amphitheatre and celebrate. It’s a tradition she started just 10 days after her cancer surgery. The 5K walk at the festive event was just part of the day’s offerings, which organizers say drew some 10,000 people to the waterfront. Runners kicked off the 53-degree morning in separate women’s and men’s 5K races.